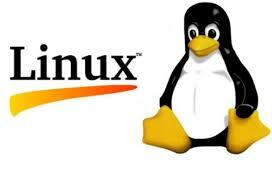 Why Linux after Cloud? — The ITEM, Inc. Pressing on with the real estate analogy, whether you’re in Cameroon or Canada, the rules of real estate development + construction should be generally the same. When you choose to learn Cloud Computing, you must also learn LINUX, to make sure your skill set is transportable to any employer using any cloud solution. In the same way you can understand that there are/should be general rules around real estate development + construction, Linux is the preferred operating system (rule framework) of cloud computing. Sticking with the real estate analogy for a second, in an ideal world, if a Cameroonian building superintendent was hired in Vancouver, Canada, he should be able get up to speed quickly with what is expected of him in Canada. This is because he is relying on the same universal rule framework used to construct and operate buildings all over the world. But environments matter. Since Cameroon is tropical (hot and damp) and Canada is temperate (cool and dry), the general rules of real estate development + construction should still apply but need to be tweaked for the specific environment and the specific project. So switching from real estate back to cloud computing, when you learn Linux, you’re learning the general rules of how to build and operate in a cloud computing environment. So whether you’re in Turkey (AWS), New Zealand (Azure), Argentina (Oracle Cloud) or Vietnam (Google Cloud Provider), you should be able to understand - generally speaking - how to build and operate in the cloud environment using Linux.